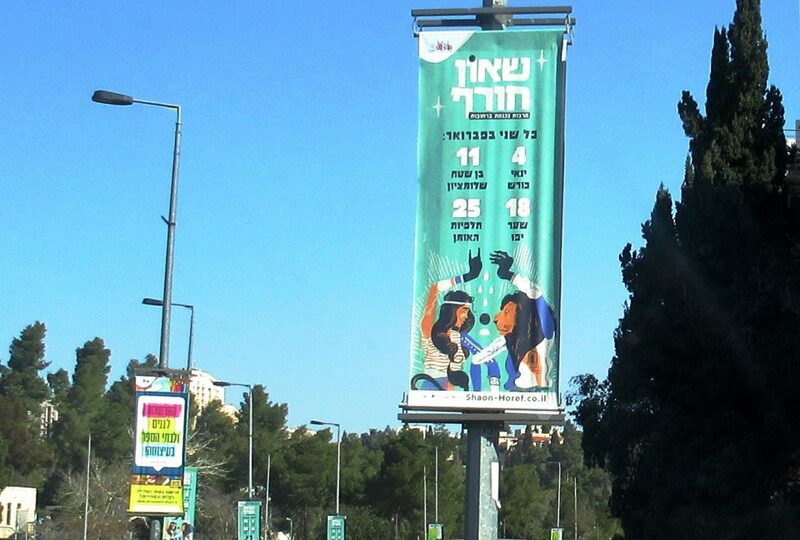 It is Israeli Space Week. 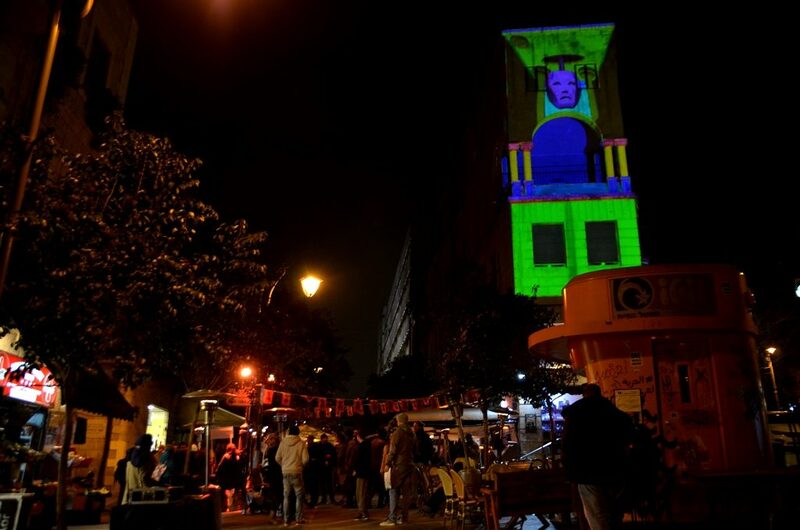 Conferences for researchers and 100 educational events for over 100,000 children were planned throughout the country. 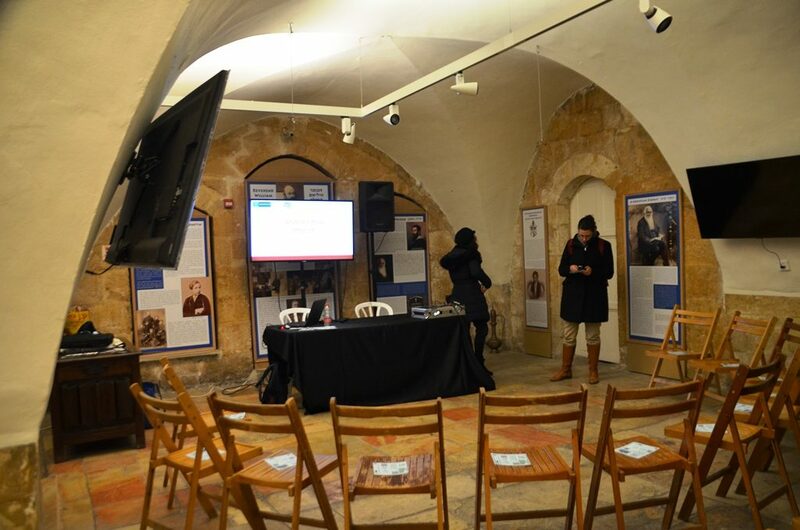 The Jerusalem Bloomfield Science Museum had free entrance times with special exhibits. 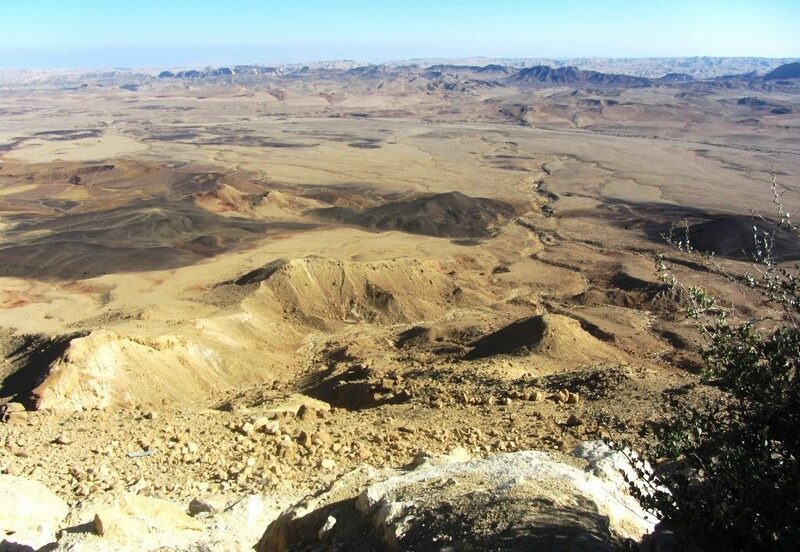 Those who have seen the Ramon Crater will nod their heads at this announcement: The Israeli Space Agency and the Austrian Space Forum signed an agreement to simulate a manned Mars expedition in the Mars-like Ramon Crater in the heart of the Negev Desert in Israel. If anything looks like the surface of Mars, it is the Ramon Crater. 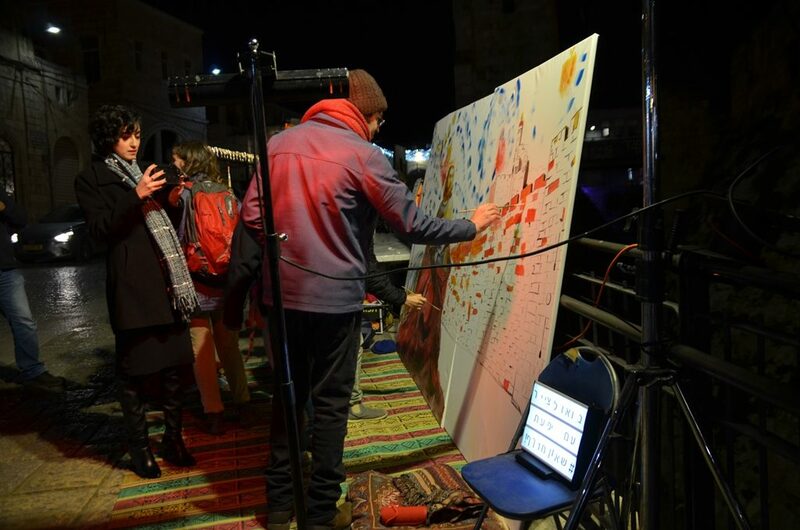 Israeli Space Week was an initiative of Rona Ramon and led by the Israeli Space Agency and the Ministry of Science. 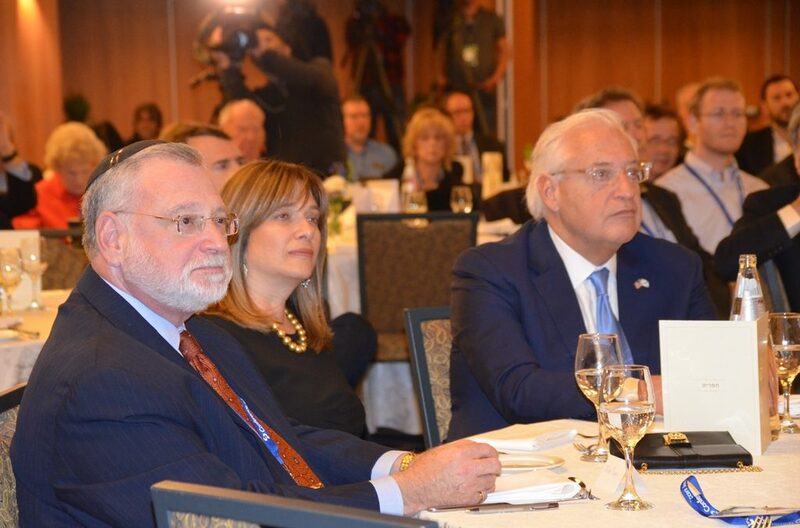 For Israeli Space Week, the families of the ill-fated US astronauts came to Israel and met with President and Mrs. Rivlin at Beit Hanasi, the Israeli President’s residence. The families presented the president with a copy of this NASA photograph taken at the training compound in 2002, several months before the disaster. 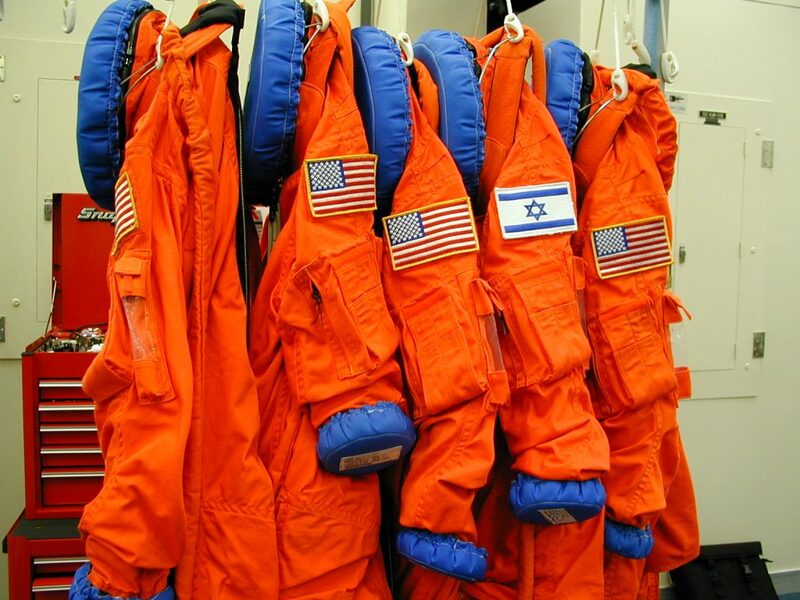 The image shows the astronauts’ space suits hanging next to each other with American flags on their sleeves, and the Israeli flag on the sleeve of Ilan Ramon. 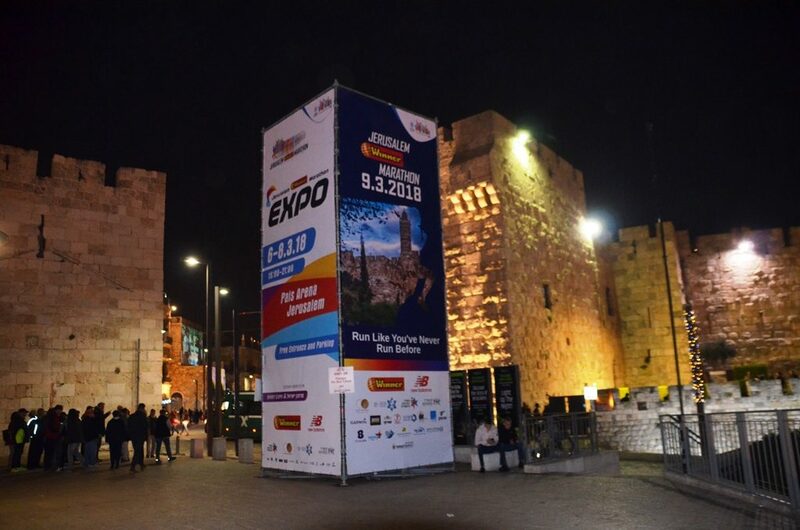 The latest news is that Israeli and German companies announced a joint moon venture. 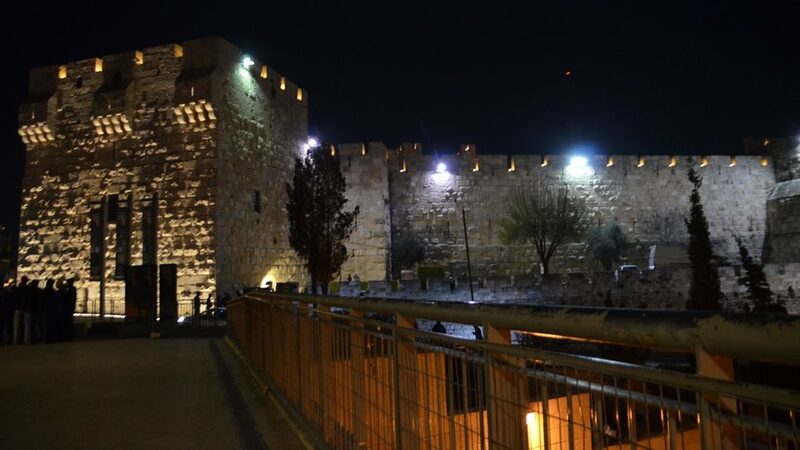 Back on the ground, for thousands of years focus has been on Jerusalem. 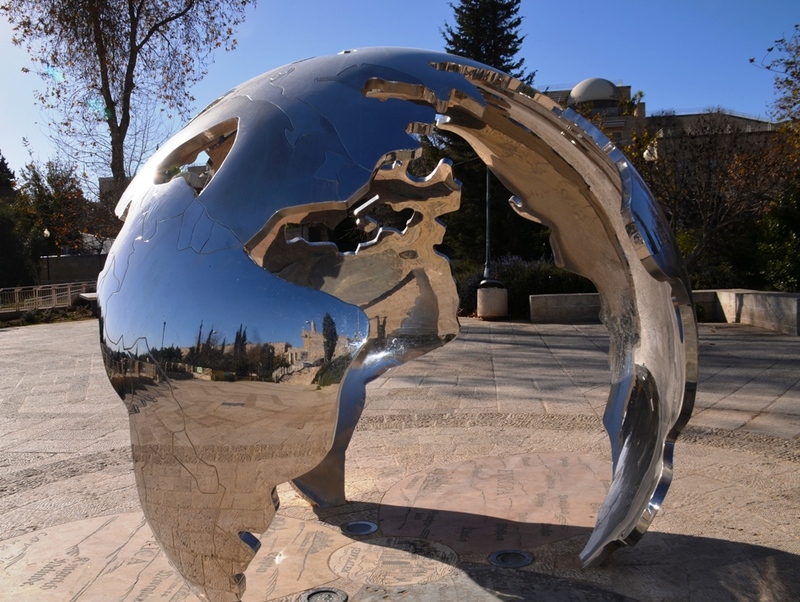 Since 2013, the sculpture “Centre of the World” by David Breuer-Weil has been in Teddy Park. 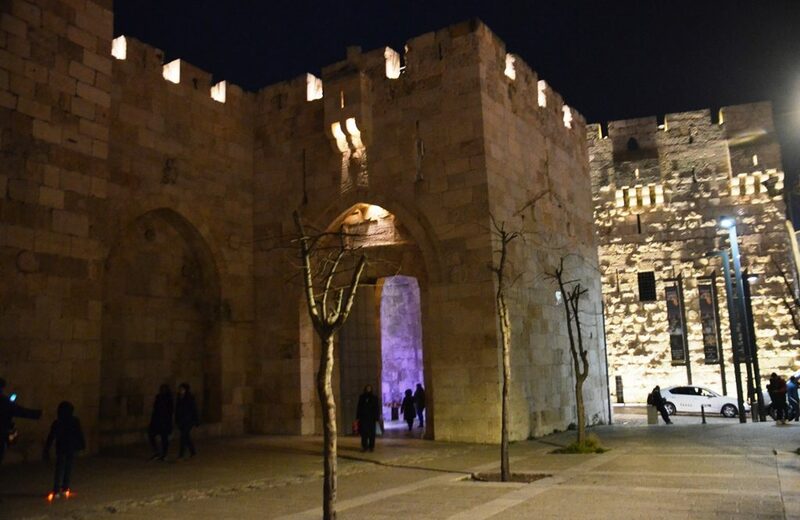 Look closely and you will see the Tower of David in reflection – and me upside down. 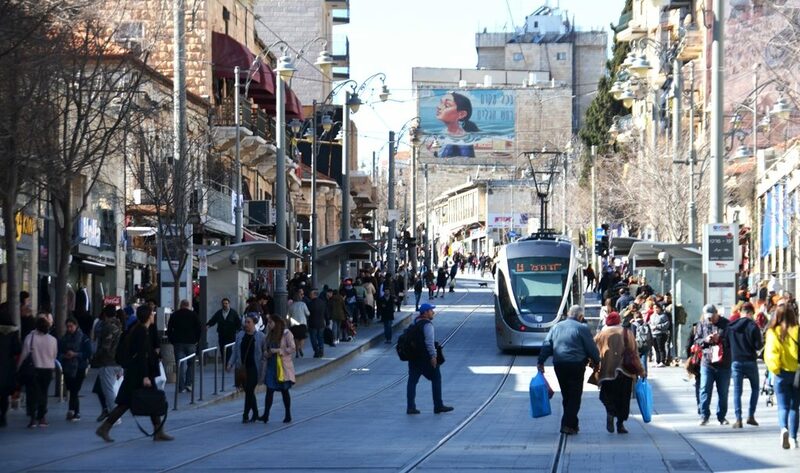 Jerusalem of old and new, is seen on Jaffa Road with crowds of shoppers and the light rail train. 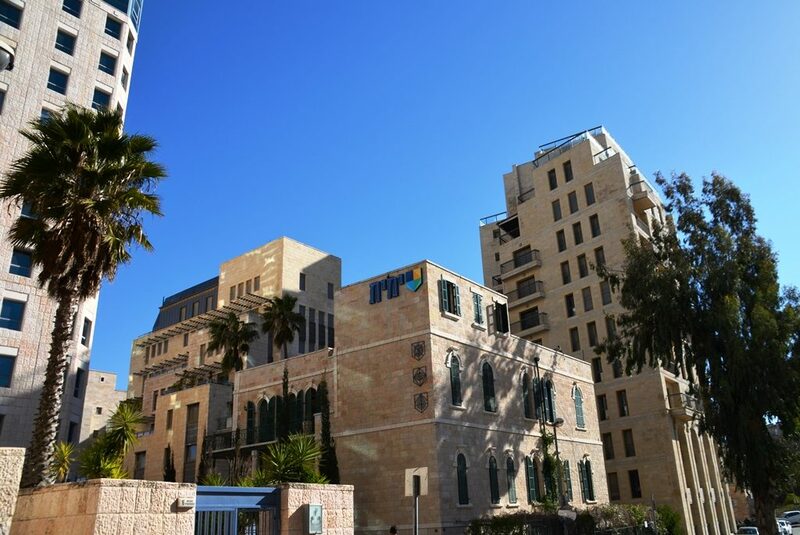 Jerusalem streets are filling with modern buildings. 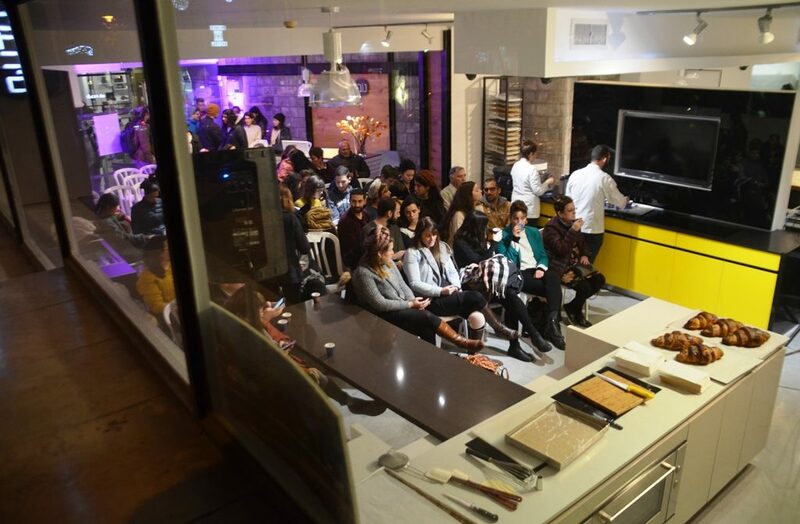 While Tel Aviv gets most of attention, there is a growing tech center also in Jerusalem. 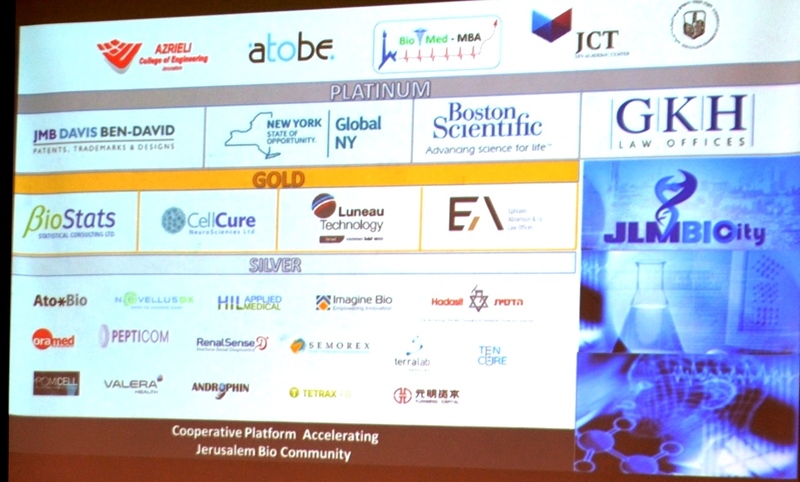 In the rapidly growing Azriella College of Engineering, a JLMBioCity meeting was held this week. 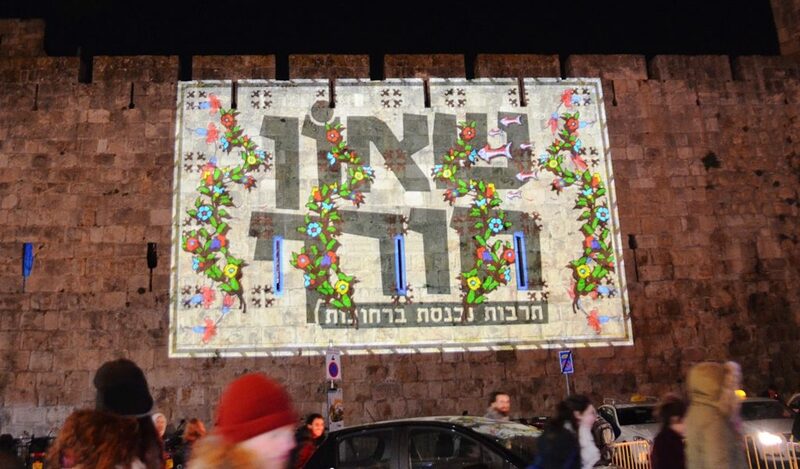 Jerusalem Deputy Mayor Fleur Hassan-Hahoum had this to say (apologies for this screen shot). 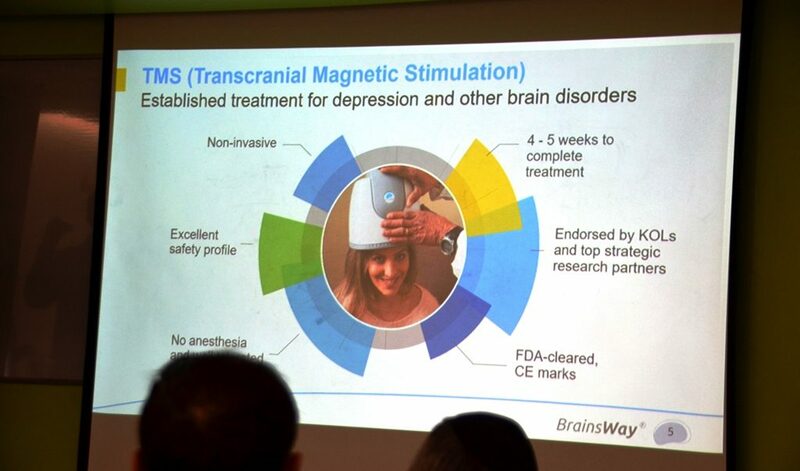 Advice was shared along with presentations of 6 of the 13 life saving companies highlighted. 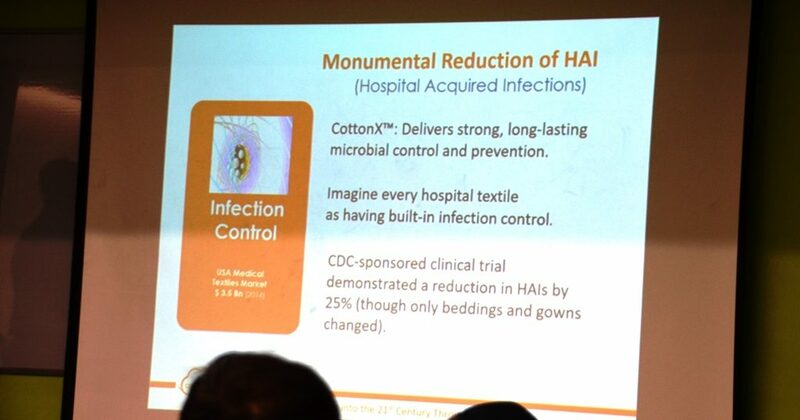 and of treating cotton to make fabrics that not only reduce infection, but reduce wrinkles. 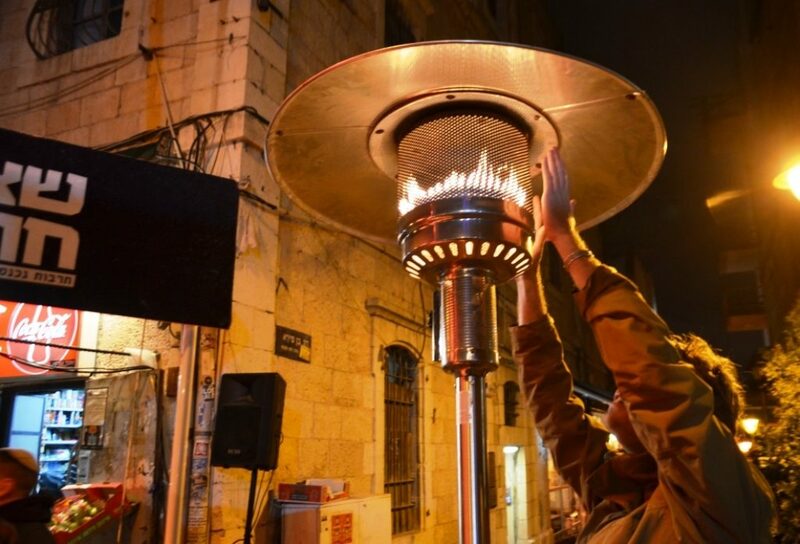 Some of the Jerusalem technology really sounds out of this world. 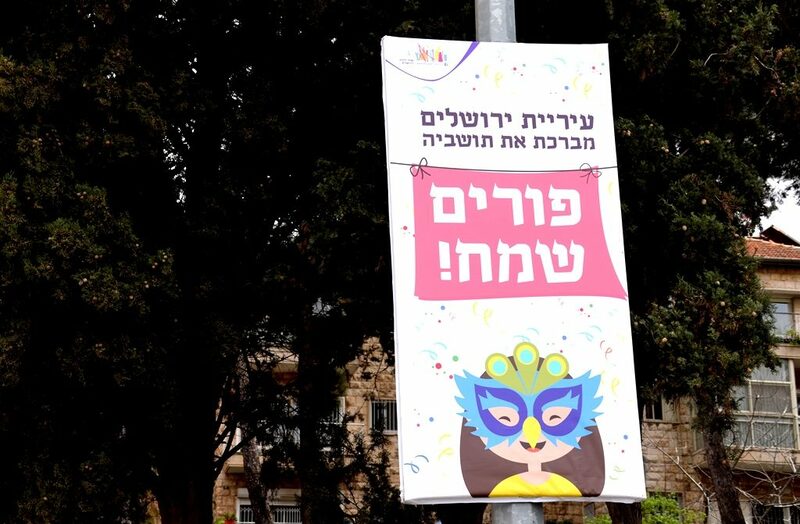 Get ready, signs are up for שאון חורף Shaon Horef, Winter Noise, the cultural street festival in a different location each Monday night in February. 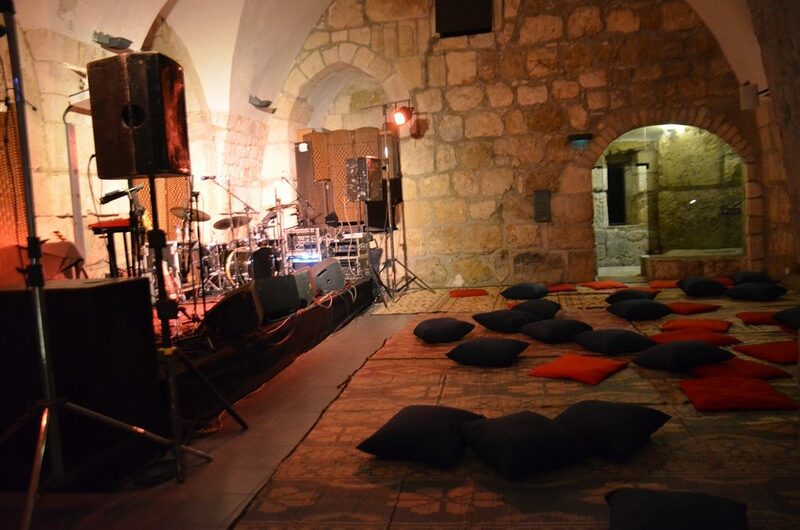 Jaffa Gate is planned for the 18th. 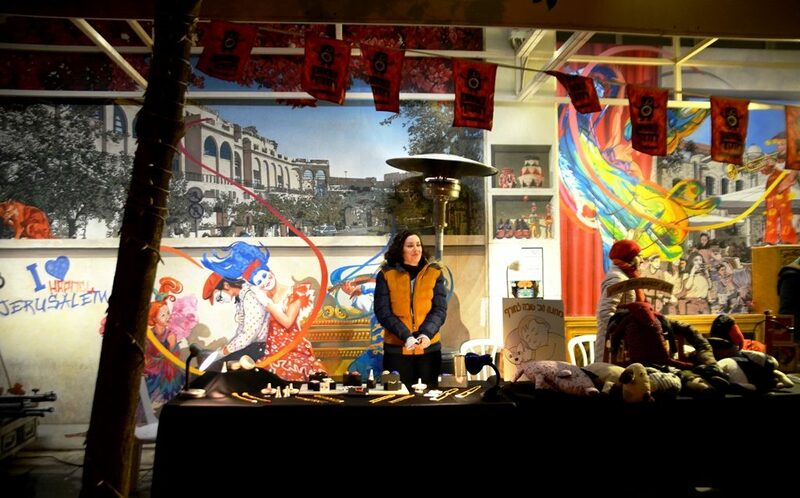 One never knows what in the world will be found at these annual winter “cultural” performances. 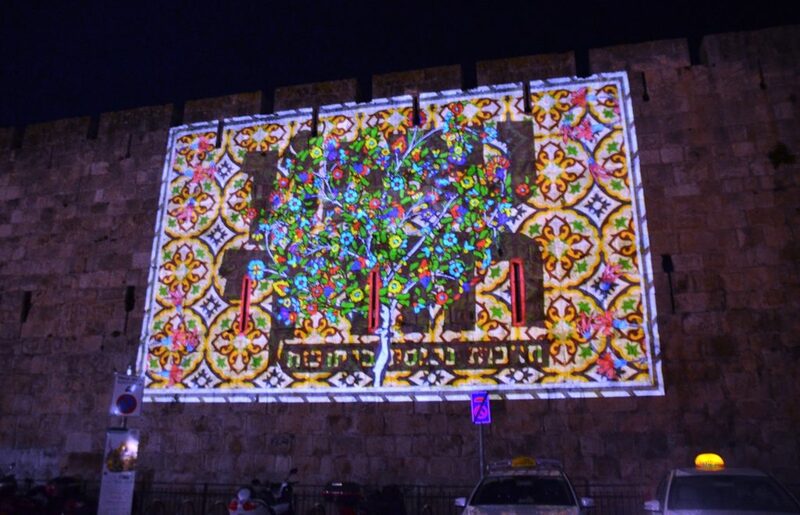 Tu Bishvat is over. The almond trees have bloomed. 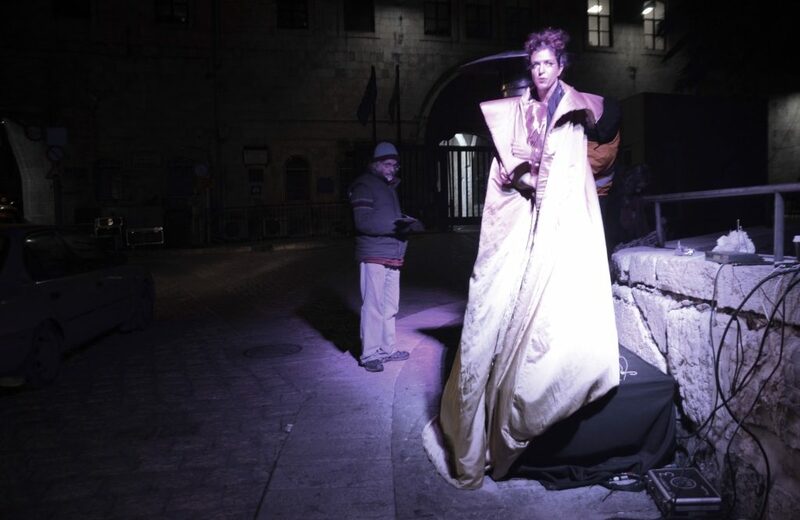 Purim costumes were out at this Jerusalem shopping site near the main bus station. 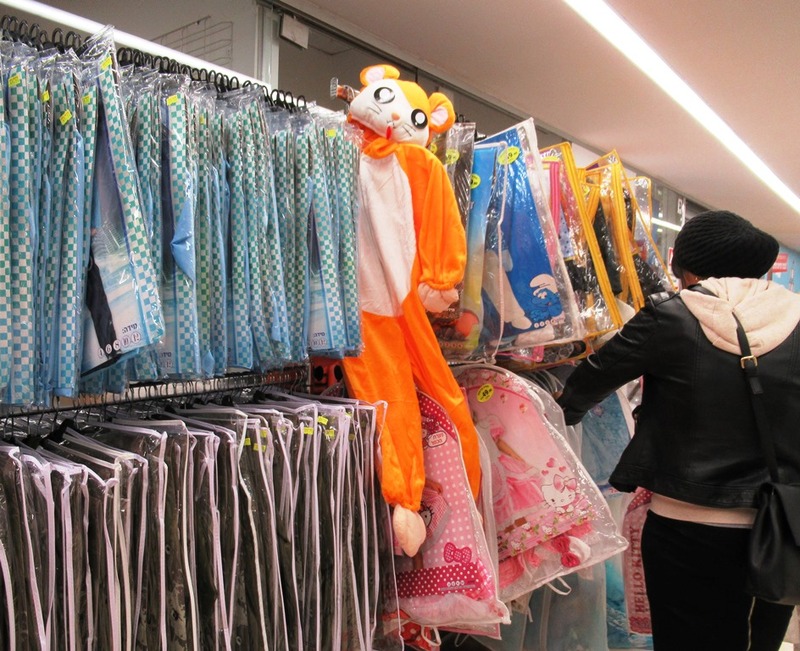 Early bird shoppers will find the best selection of Israeli policemen and IDF soldiers for boys and fancy dresses for girls. No blast off here yet. 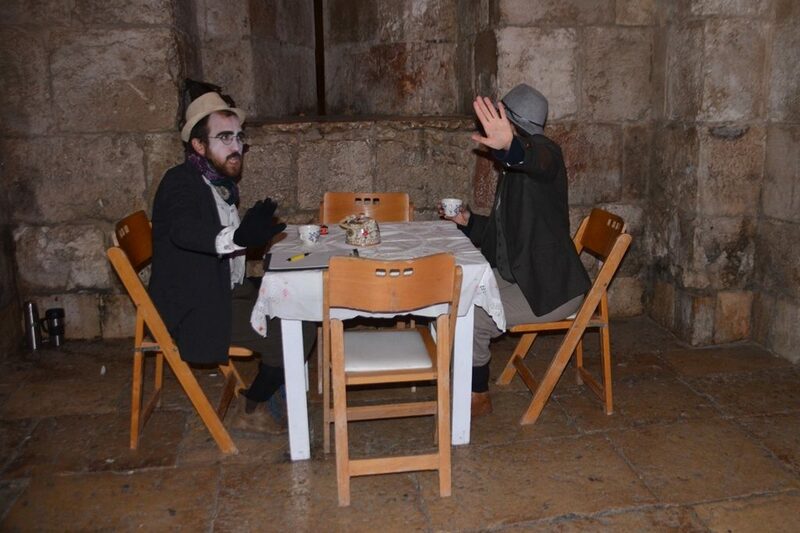 Not ready to get ready for Purim. 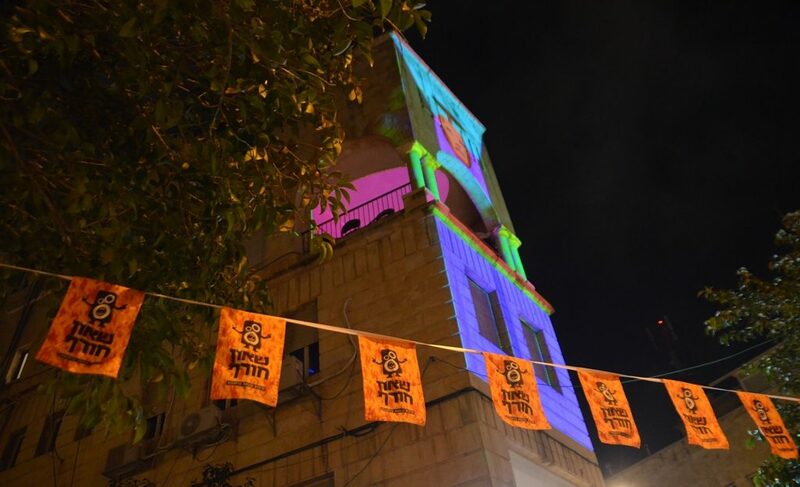 In Jerusalem, Shushan Purim is to be celebrated on Friday, March 22. 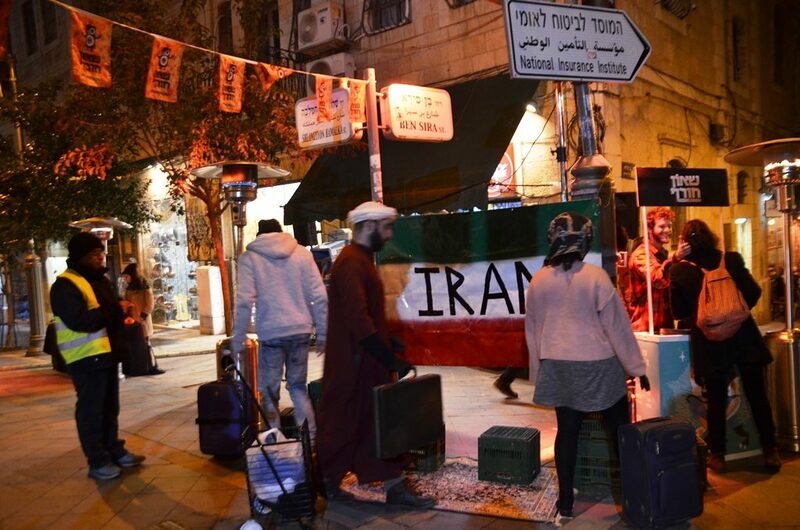 There is still very much to do and happening on the Jerusalem streets. 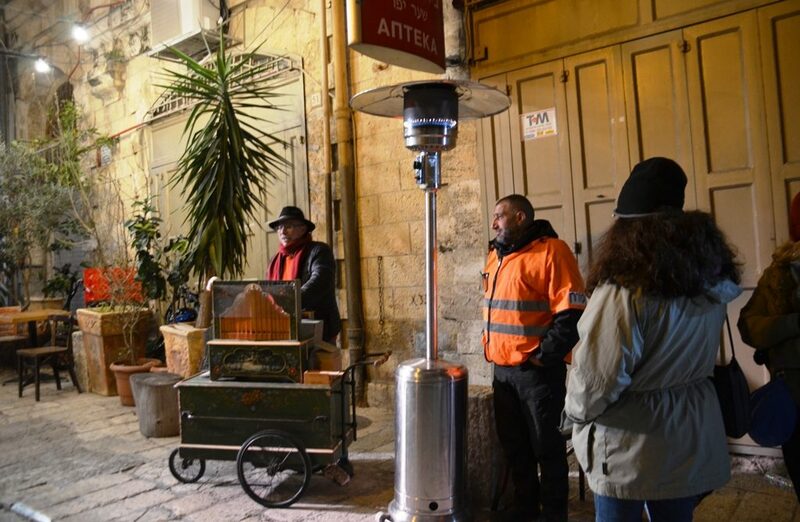 The third week in February is always a busy time in Jerusalem, Israel. 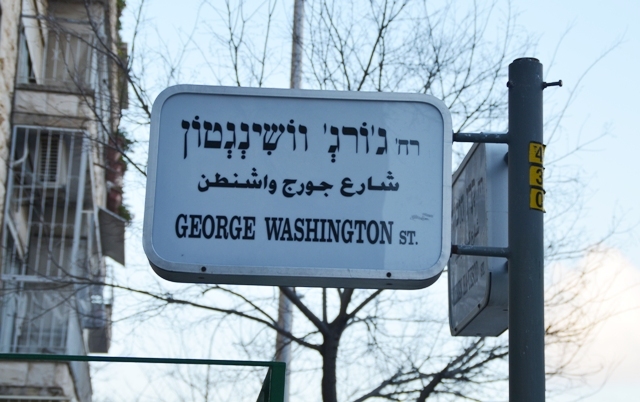 here in Jerusalem, Washington is honored all year long, and Abraham Lincoln is right around the corner. 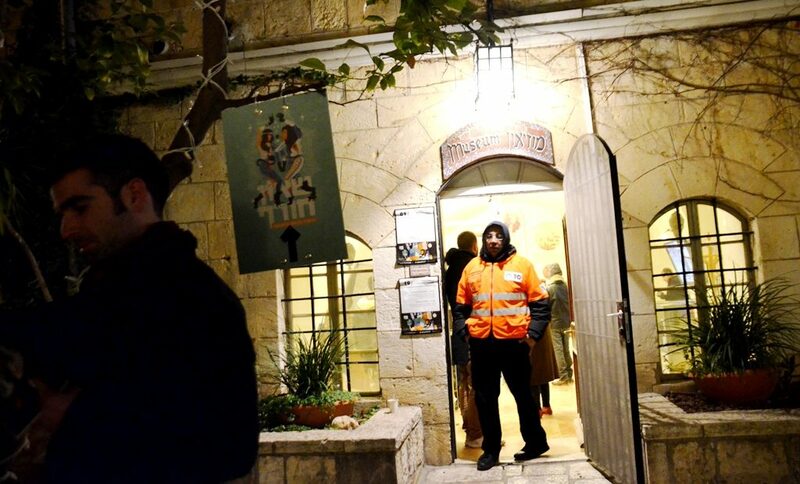 The annual Conference of Presidents of Major American Jewish Organization, COP, had over a hundred leaders participating in this year’s mission. 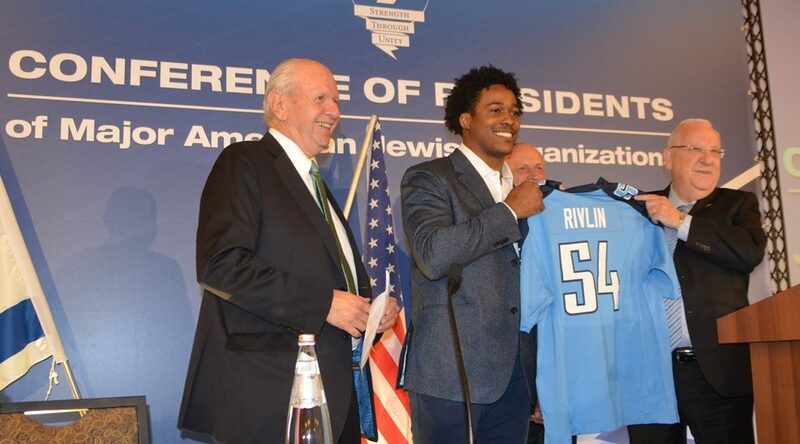 COP Presidents were greeted by Israeli President Reuven Rivlin, who received this numbered jersey from a visiting US football player, who were in Israel on a tour. 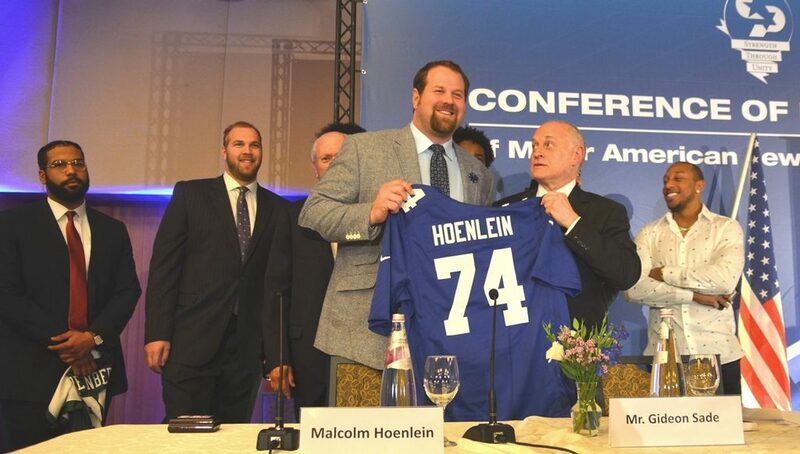 Jewish football player Geoff Schwartz presented COP CEO Malcolm Hoenlein with a shirt. Hoelein is looking up, seconds before he stood on a chair to get a better view. Also at the opening gala were US Ambassador David Friedman and his wife Tammy. 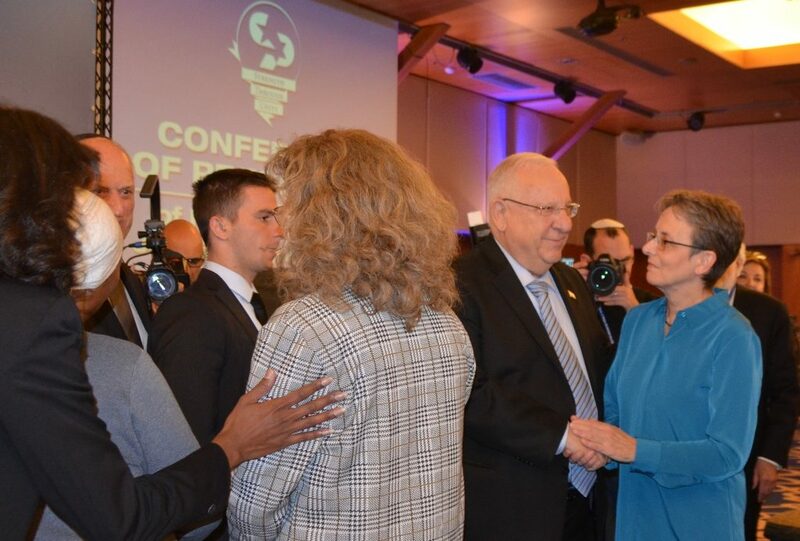 President Rivlin consoles Dr. Leah Goldin, mother of Hadar Goldin z”l, whose remains are being held captive in Gaza. 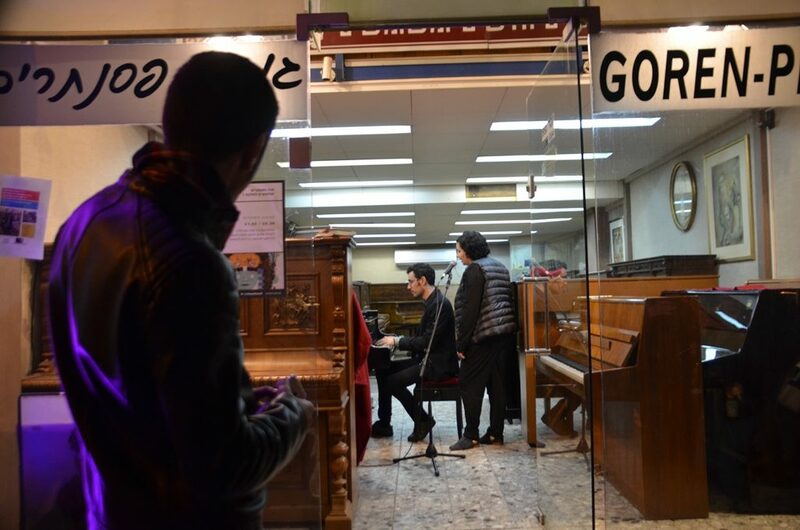 There was another birthday of Hadar’s this week, 3 1/2 years after Hamas killed him, after agreeing to a cease fire. 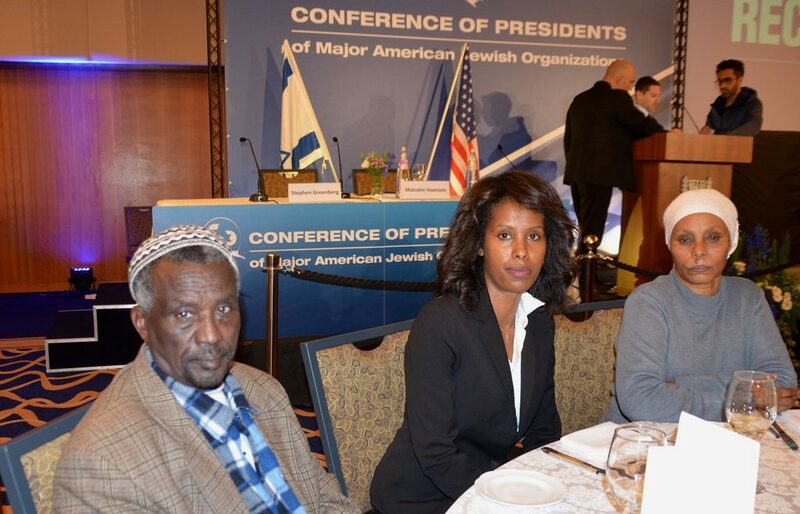 Also sharing their plight with the Presidents were the family of Avera Mengistu, and their spokesperson. 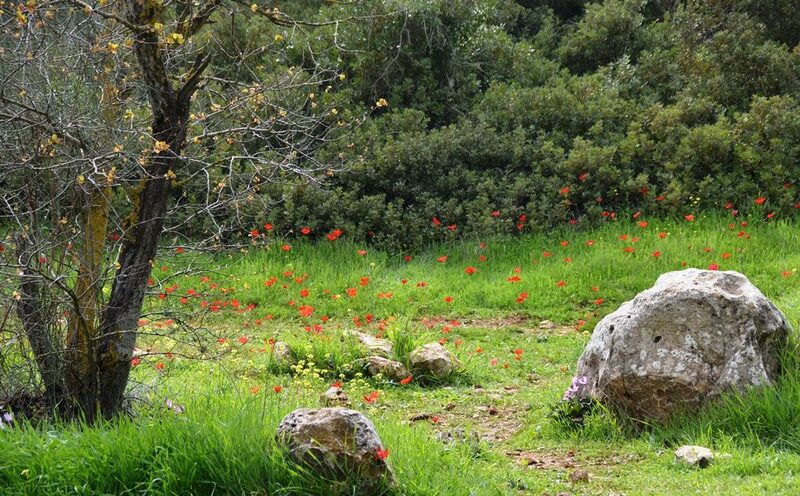 Over 3 years ago, the mentally challenged Avera wandered over the Gaza border and was kidnapped by Hamas. This was a not just a week for presidents, but for ambassadors too. 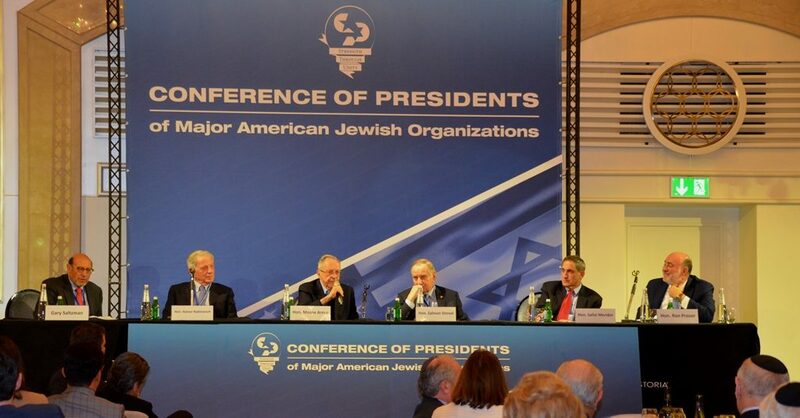 On the dais in the Waldorf-Astoria Jerusalem ballroom, these five former Israeli ambassadors to the US, Moshe Arens, Sallai Meridor, Ron Prosor, Zalman Shoval and Itamar Rabinovich, shared their experiences. At the Knesset, over 30 International Parliamentary Heads came to Jerusalem to share their knowledge at a Knesset Conference. 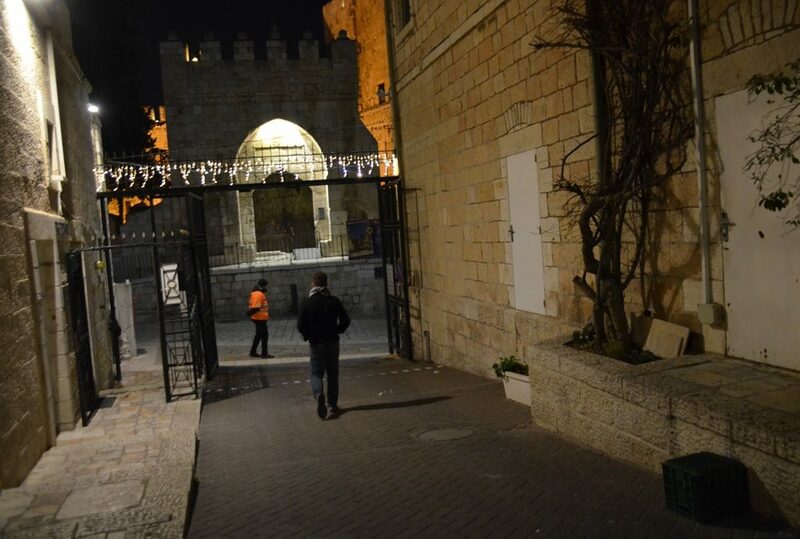 With all these important international leaders in Jerusalem, the most impressive session I attended went unreported. 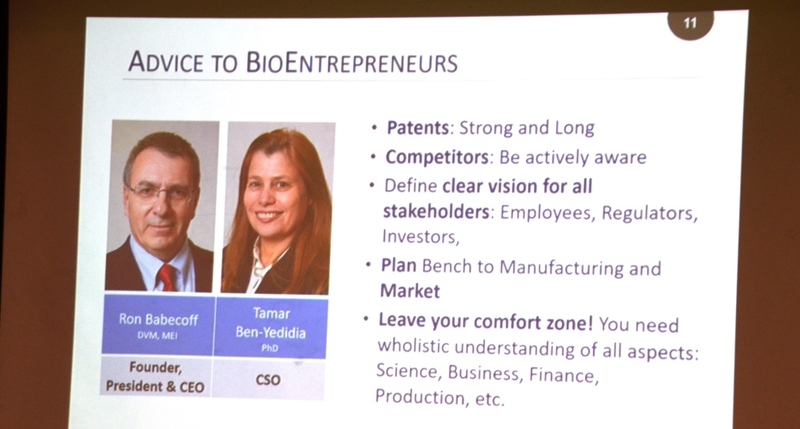 Entrepreneurs Dr. Yossi Vardi and SanDisk CEO Shahar Bar-Or, introduced Sereen to the COP Presidents after lunch at the Inbal Hotel. 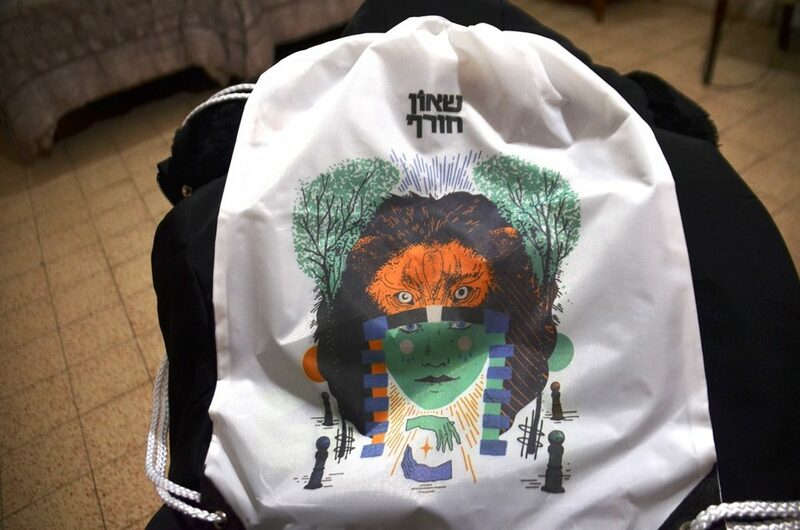 Sereen is a 15 year-old Bedouin girl who grew up near Beer Sheva, and is an outstanding STEM student in an Israeli university. Her father’s cousin is a professor in both Stony Brook and Ben Gurion Universities, and promotes good education as key to success. 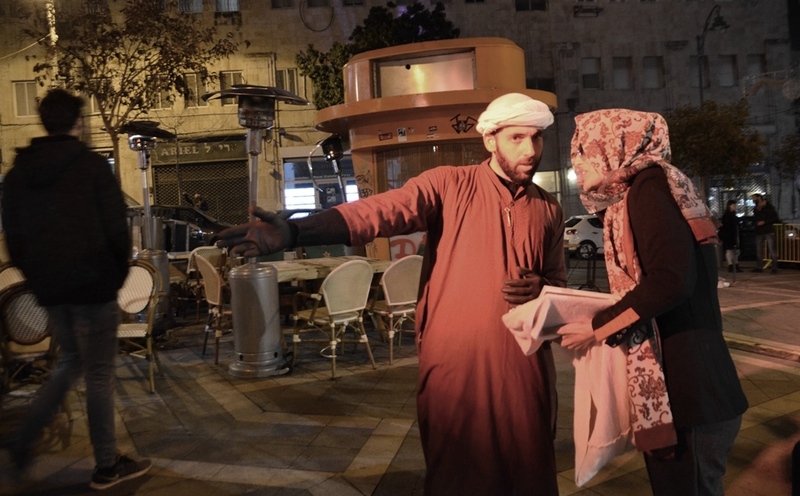 Sereen, seated on the left wearing a dark hijab, is at the table with other promising Israeli young women. Her very proud mother is seen on the right in a tan colored head covering. 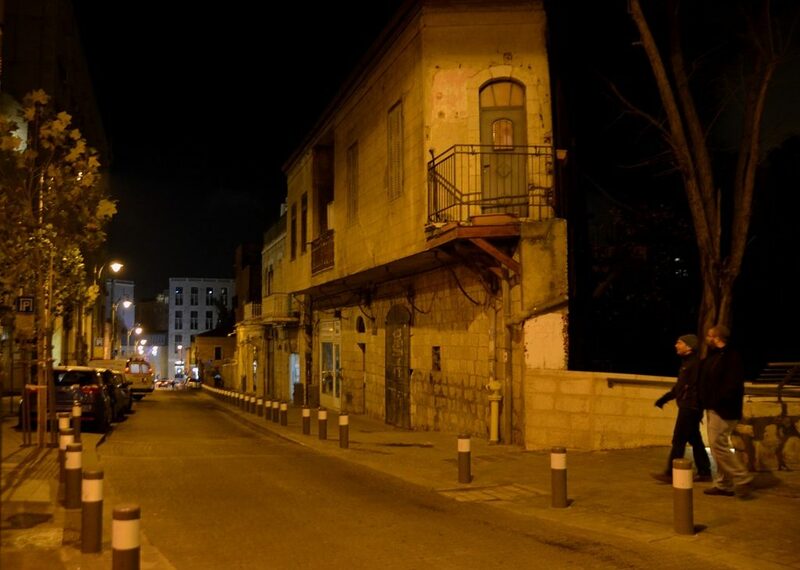 Presidents, parliamentarians, and ambassadors, and even professional football players, are not the real streets. 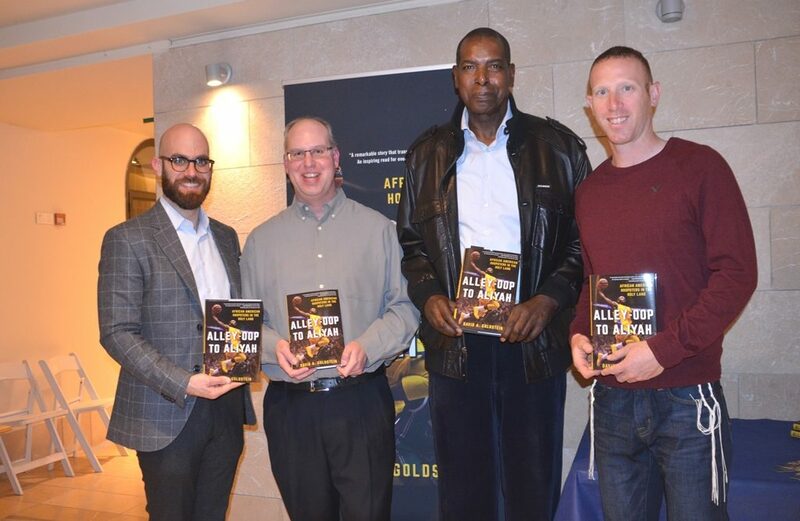 A new book “Alley-Oop to Aliyah” tells us about over 800 African-American basketball players who came to Israel over the years to play basketball. They loved it. 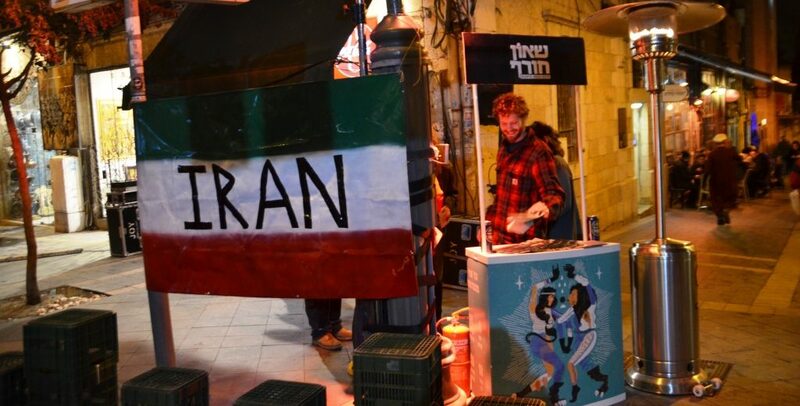 Some stayed and made aliyah, and their children are playing ball and serve in the IDF. 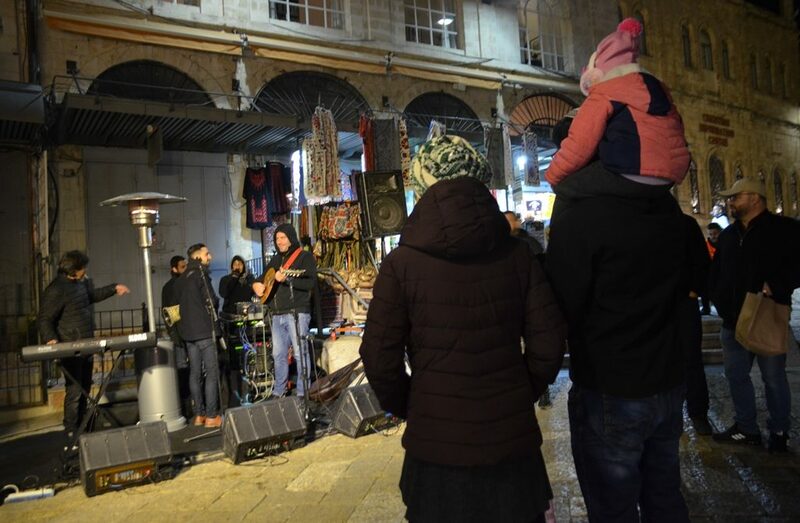 Out on the streets, this week’s Jerusalem’s Shaon Horef, Winter Noise, location was Jaffa Gate. 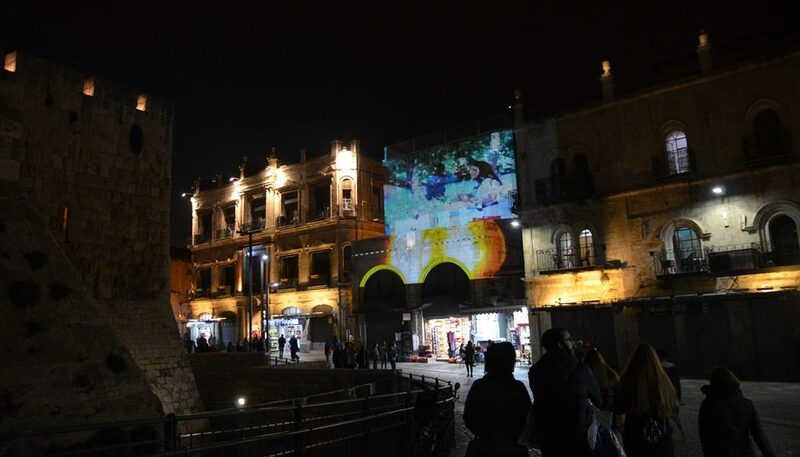 Light projections and music played on inside Jaffa Gate at multiple locations. 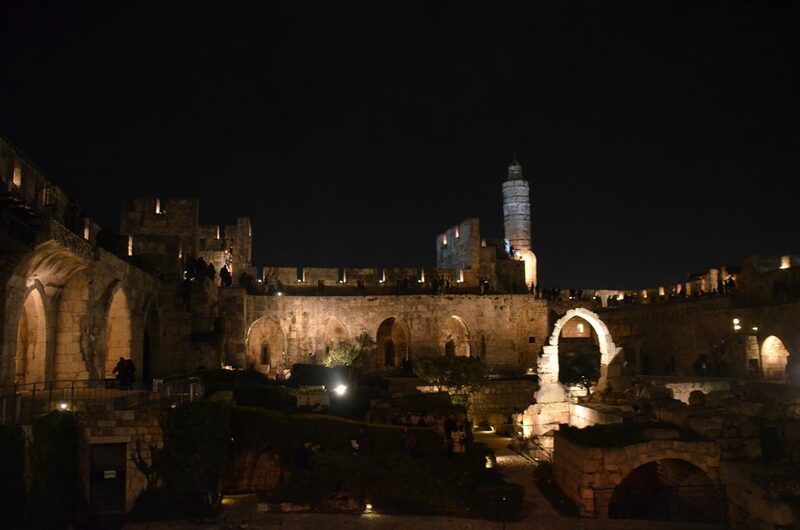 Hundreds of people were climbing the steps throughout the Tower of David after dark. 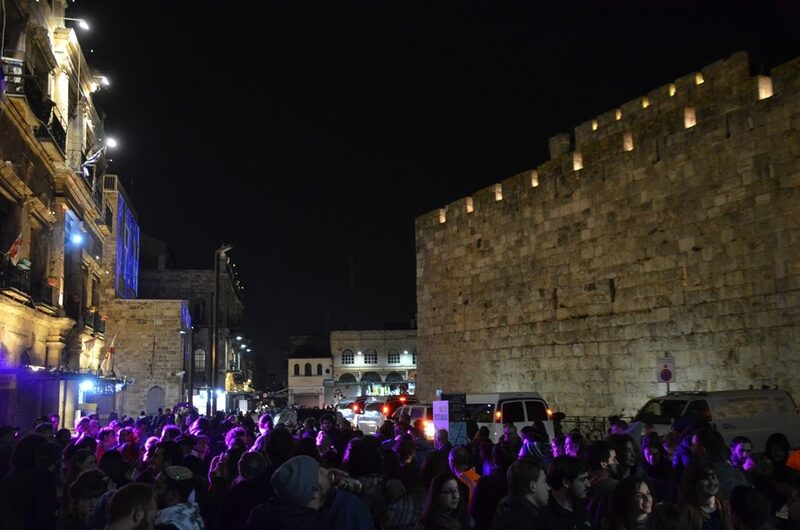 The presidents were so close, they could have wandered over to see the crowds and danced along next to the walls of Tower of David at this free event. This was not a week to be cooped up all day in meetings! Look down and you see flowers blooming. 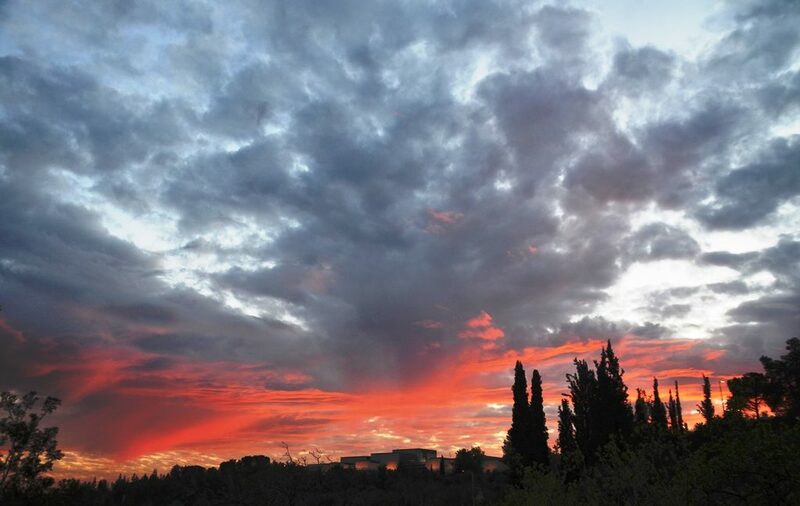 Look up and you could see magnificent sunsets. 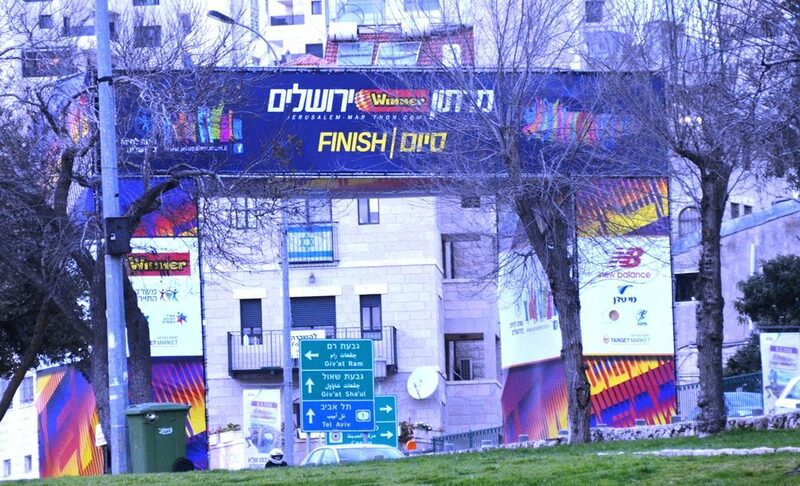 A finish line is up next to Gan Sacher, Sacher Park, for the Jerusalem Marathon on March 9. 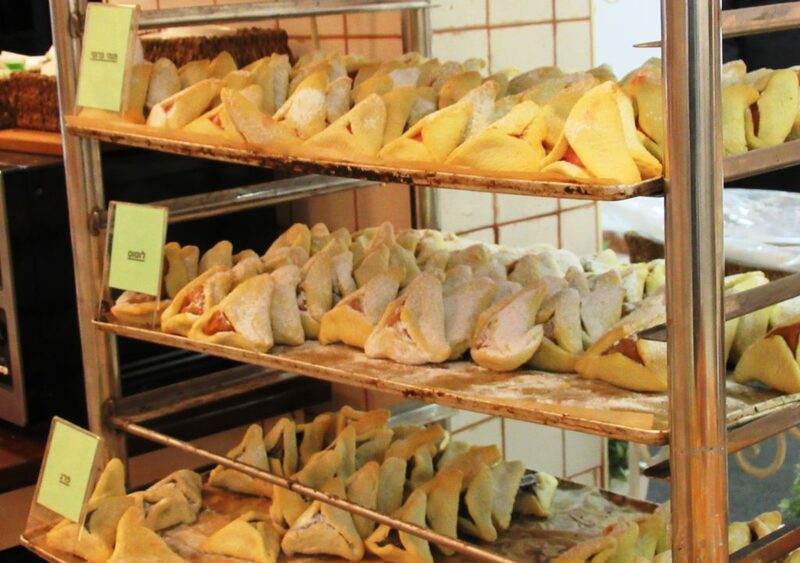 Preparations for costumes and food and meals are well under way. Young school children can be seen wearing their crowns on the streets. The not so young are also planning their holiday costumes. There may be presidents this week, but next week there will be queens and kings and many more important personalities.